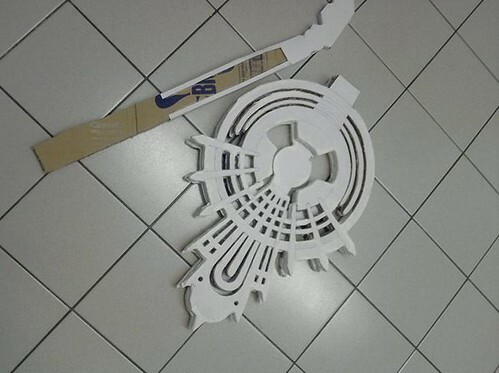 First draw the guitar base on a piece of newspaper or any big paper then cut it out. Paste the paper on the cardboard and draw out the shape on the board following the lines. After that, use a cutter to cut the shape of the board out. Since the thickness of board is only 1cm, I cut out 4 boards. Cut the two boards like the right side and two boards like the left side. After that I sprayed using white spray at the boards. After the boards are dry, using a hot glue gun, stick the board together as you can see the 3d effects on the guitar. Don’t forget to use the leftover board to cut out the guitar stick. You can use papers to stick on the board if it’s hard for to spray. 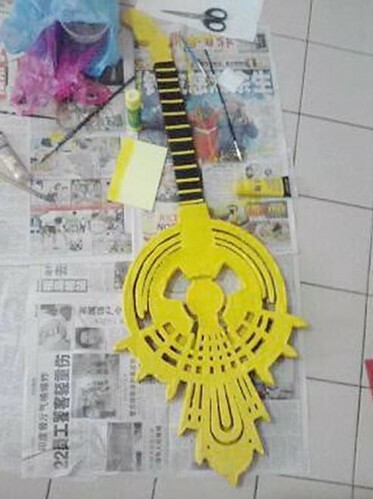 Then start painting your guitar with gold acrylic paint. 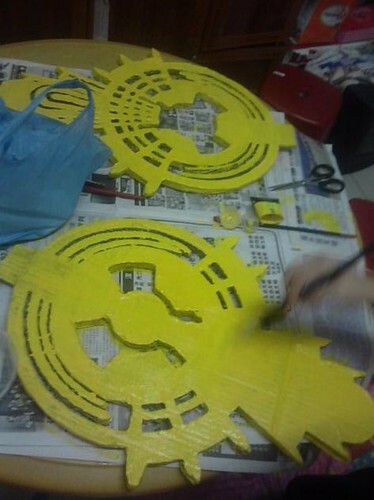 But if you can’t see the golden colour yet, you can use yellow acrylic paint first. After it’s dry, paint with gold acrylic. Paint the stick with black acrylic paint. You’re allowed to use spray instead of paint. As for the end of the stick, paint gold acrylic on it. After all the boards are dry, using the hot glue gun again, stick the guitar stick together with the main board. Paint gold acrylic again on a piece of paper and cut it into small rectangle. Then stick it on the guitar stick. FINALLY YOU’RE DONE! 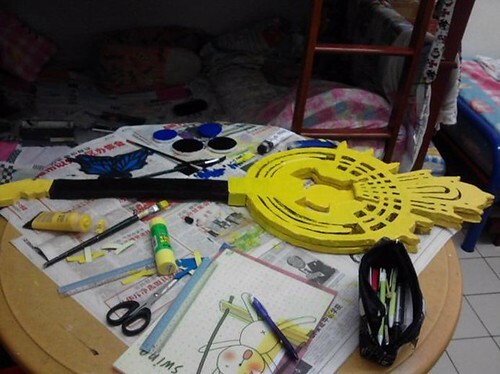 This is a guest post from Jing, entered in the Cosplay Tutorial Contest. Click here to check out all the participants and their scores, and more details about the contest, like the rules, how to join, the prize, etc. Comments about the tutorial: An easy and cheap way of making Rin Meltdown Guitar. Hope you enjoy the tutorial! This is a guest post from Kitty Petro, entered in the Cosplay Tutorial Contest. Click here to check out all the participants and their scores, and more details about the contest, like the rules, how to join, the prize, etc. Step1: memorize her wings, know the colors of the crystals and know what order they go in. Also keep in mind the frames of her wings are black. Step 2: Organize your materials. You will need four long strips of cardboard, black spray paint, 16 crystal shaped pieces of cardboard, white spray paint, light blue paint, Blue paint, purple paint, pink paint, orange paint, yellow paint and light green paint. Step 4: Spray paint the crystals. Take the crystals and the white spray paint outside and spray the crystals. These will take longer to dry because you may have to do multiple layers of white spray paint. 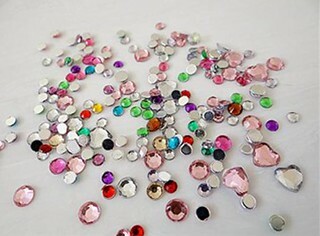 When the white has dried, bring the crystals back in and put the white away. Step 5: Paint the crystals. Paint four of the crystals light blue, two of them blue, two of them purple, two of them pink, two of them orange, two of them yellow and two of them light green. Step 6: Assemble the wings. After the colors on the crystals are done drying, join two of the long pieces of the cardboard together to shape a semi bent elbow. Do the same with the remaining two pieces. Step 7: Attach the crystals. On one elbow shaped wing glue the crystals on in this order from the base to the tip: Light blue, blue, purple, pink, orange, yellow, light green and light blue. Step 8: attach the spine. The “spine” goes right on the back side of each wing. This spine can consist of any type of strong, heavy plastic. Attach it by taping it to the back side of your wings. Step 9: Tape the wings to the inside of your Flandre vest. Usually duct tape works best. 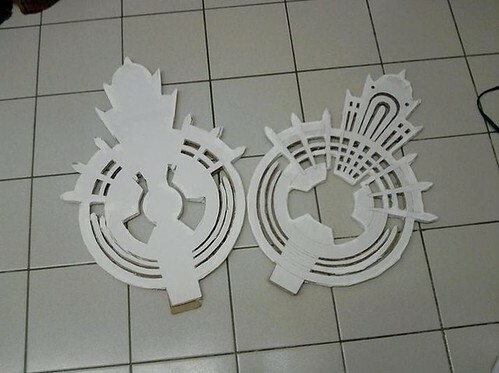 This is a guest post from Jasmine Davis, entered in the Cosplay Tutorial Contest. Click here to check out all the participants and their scores, and more details about the contest, like the rules, how to join, the prize, etc. This is a simple but informative tutorial. 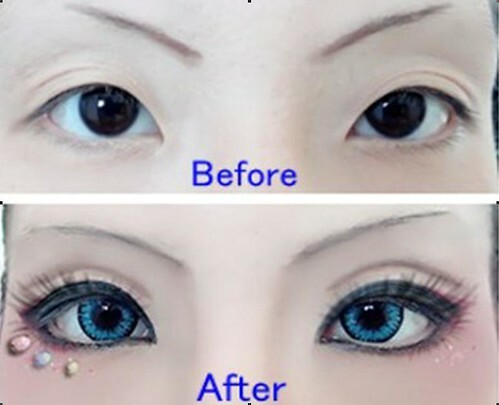 It can be helpful for both cosplay and your daily life. It’s made by Syjana from deviantart.com.